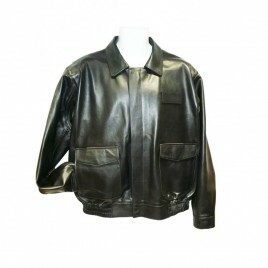 FedEx Uniform Leather Jackets There are 6 products. Color :Black Description : This jacket is A2 airforce style in front without epaulets and Navy G2 style at back. The best option in this category The zipout liner is very functional and this option is preferred by 90% of pilots. For womens jacket, the jacket collar is made slightly smaller, the zipper puller is for female,the inside pockets are little below the bust and better fitted than any jackets available in North America. We have inputs from our female pilots over 20 yrs and our womens leather uniform jackets are tweaked to look more feminine.